Sleigh bells ring, are you listening, in the lane, snow is glistening, a beautiful sight, we’re happy tonight, walking in a winter wonderland. A White Christmas has always been on my bucket list. As a born and bred Central Queenslander, the idea of waking up on Christmas Day and seeing blankets of snow from the window while enjoying a hot apple cider by a roaring fire just was a dream come true. Stowe was our Christmas Day destination. Stowe is a quaint town located at the foot of Mount Mansfield in the state of Vermont in the United States of America. Vermont is known for its natural landscape, numerous 19th century covered wooden bridges, a major producer of maple syrup, and of course the iconic Ben and Jerry’s ice-cream! Ice-cream would have to be one of my favourite foods, so I was rather excited to roll into the factory on Christmas eve. As we pulled up into the car park of the factory specks of pure white fluffiness started falling from the sky. I was like a kid in a candy shop, Christmas had come early! Snow and ice-cream… what a combination! We took a 30 minute Ben and Jerry’s Factory Tour on Christmas eve afternoon. The tour was $4 per person and included a guided tour of the factory and an introduction on how Ben and Jerry’s make their iconic and creatively named ice-creams. The tour was topped off with a sample scoop and a wander through the gift shop. Find out more here. On our way to Stowe we stumbled across the charming Cold Hollow Cider Mill in Waterbury. This lovely spot is a popular tourist attraction. We watched how apple cider was made and sampled cold and hot apple cider. Afterwards we wandered through the vintage mill and admired the large array of Vermont specialty foods and products, including maple syrup and the mill’s famous cider donuts. Hot cider donuts certainly warmed my soul for a perfect afternoon tea delight. Our final stop before arriving at our accommodation in Stowe was Cabot’s Creamery Farm Store. Cabot’s claims to have the world’s best cheddar cheeses. If you are a cheese connoisseur, it’s worth having a look in the store to sample the larger array of cheeses and different flavoured cheddars on offer. Inside the store you will find many other gourmet food items for purchase. The Riverside Inn was our home for Christmas Eve and Christmas Eve night on our winter wonderland adventure. The inn was originally a farmhouse built sometime in the early 1800s and was a rustic way to spend our white Christmas. We had a private room with bathroom located on the upper level of the inn with shared access to the communal kitchen and lounge area downstairs. Christmas Eve was spent enjoying pizza from the conveniently located Piecasso, which was just next door. We enjoyed the company of fellow travellers as we snuggled up on one of the large couches next to the roaring fire. Snow continued to fall into the night as we drifted off to sleep and waited for the arrival of the big man in the red suit to arrive! We woke up to a glorious Christmas day with crisp clear blue skies and fresh powdery white snow glistening in the sunlight. We enjoyed a cooked brunch after a much-needed sleep in before heading out into our wonderland to explore. My ultimate white Christmas dream was bought to fruition by a traditional sleigh ride. Not far from our accommodation was a business offering draft horse drawn sleigh rides called Gentle Giants Sleigh and Carriage Rides. We stepped into our carriage and were welcomed with lovely warm blankets for the ride. Our ride was led by a beautiful gentle giant named Jack and our journey took us through a covered bridge along an open brook on a winding wooded trail in the woods. A very intimate and romantic occasion on this Christmas day. Christmas day afternoon we took the free shuttle up to Stowe Mountain Resort. The resort offers plenty of activities including 116 ski trails and 12 lifts, sleigh-riding and dogsledding, snowmobiling, snowshoeing and ice-skating. We spent the afternoon wandering around the resort and admiring the spectacular views of the slopes. Stowe really stole a piece of my heart with its beauty, and would be absolutely stunning to visit for a snow specific holiday or to come during the fall season to witness the kaleidoscope of autumn colours. 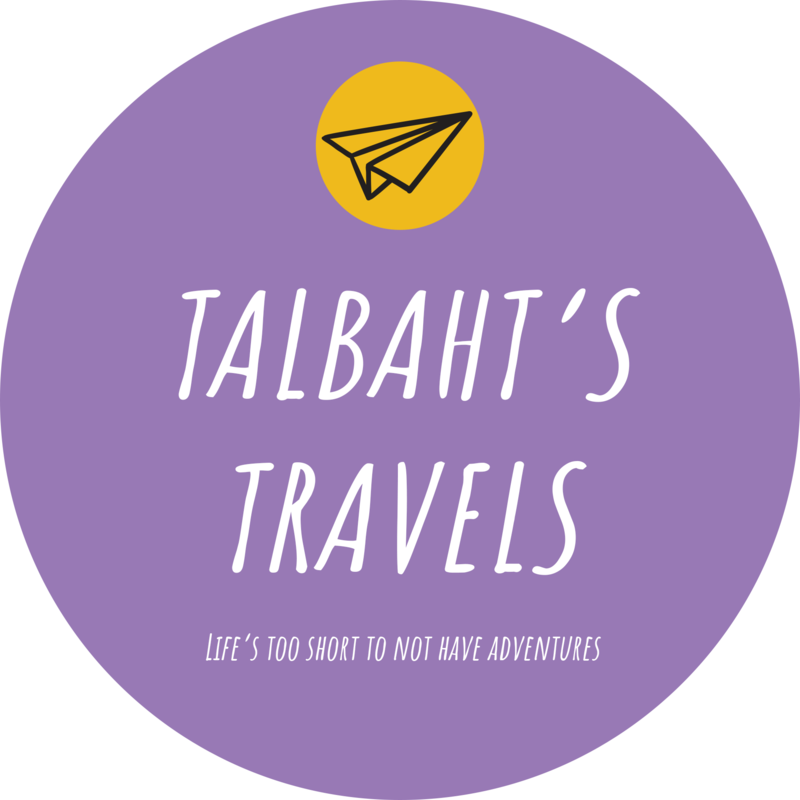 If you have any questions, want help planning a trip to Vermont, or have an idea for a guest blog please email contact@talbahtstravels.com. Remember to like the Facebook page and follow on Instagram to keep up to date with the latest blogs, photos, and travel tips.